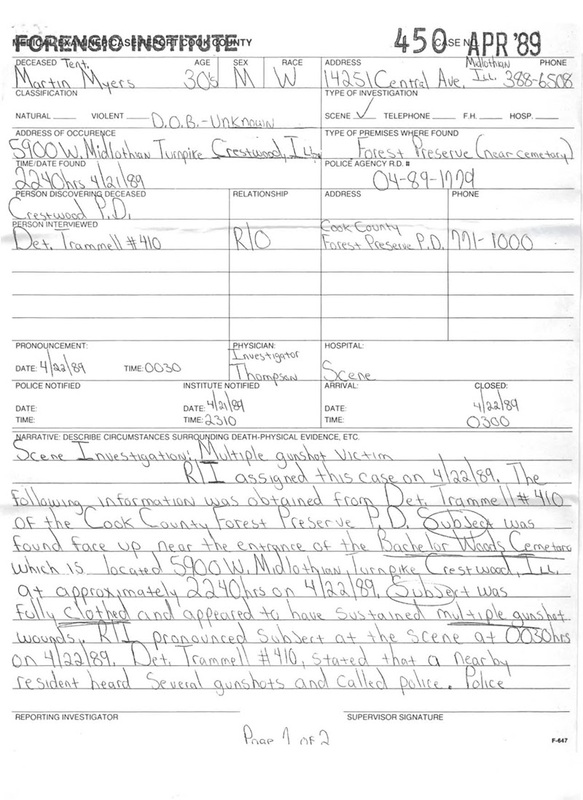 Police report and medical report courtesy of Pete Crapia of Illinois. A 20-year-old woman who confessed to killing her former boyfriend was released Saturday when the Cook County state's attorney's office ruled that she acted in self-defense, officials said. The woman said she had shot Martin Myers, 43, of Midlothian, whose body was found April 21 at the Bachelor Grove Cemetery in the Rubio Woods Forest Preserve, near the south suburb, said Gerald Palacios, chief of investigations for the Cook County Forest Preserve District. He said he would not identify the woman for her own protection. The woman told officials that she killed Myers because he had beaten her and put a gun to her head, making her fear for her life. 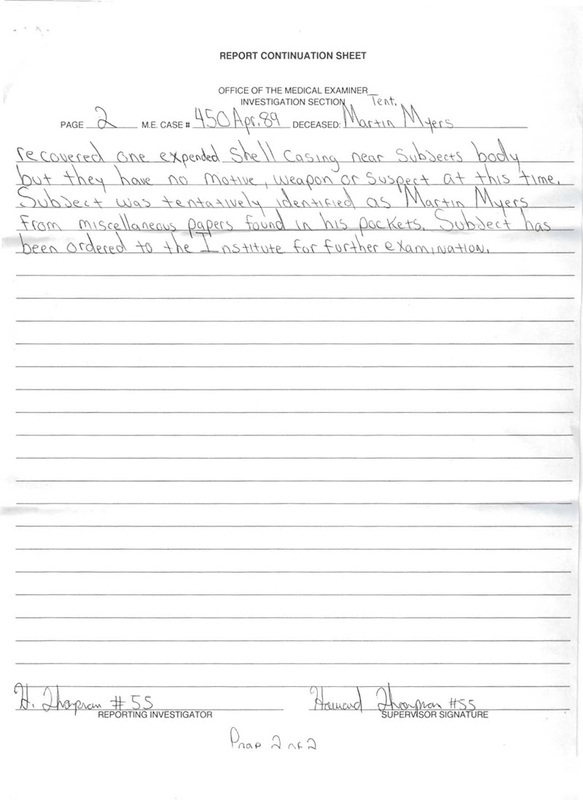 Myers had been charged in the Jan. 11 death of another man, Mark Tilton, of Houston. Police said Myers had run over Tilton because he believed Tilton was dating the woman. The woman, who was being sought by police, was spotted Friday night. Police chased her through south suburban Palos Hills and Worth, but she got away, Palacios said. On Saturday, however, the woman turned herself in to police and confessed to the killing.